Here's a tip if you should ever meet Srinath. Don't wear short heeled shoes!! 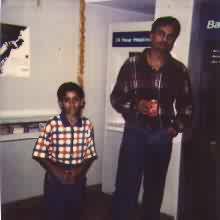 I met Sourav Ganguly at Hot Breads recently. He had come on a Coke promotion visit. We had such a cool time, he even spent 5 minutes talking just to me! To top it all off, we even appeared on the Star News Channel, together. And finally...my favorite picture. 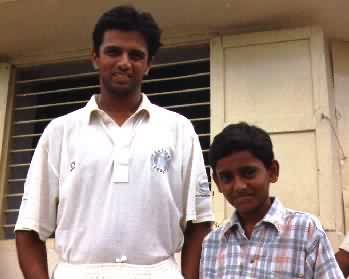 Rahul Dravid and I, together! I couldn't get over it for a long time! I hope Rahul remembers me when he visits this website! 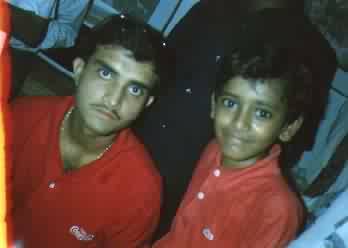 Rahul, I think you're a wonderful player!! This site was created to remember that special day with you!